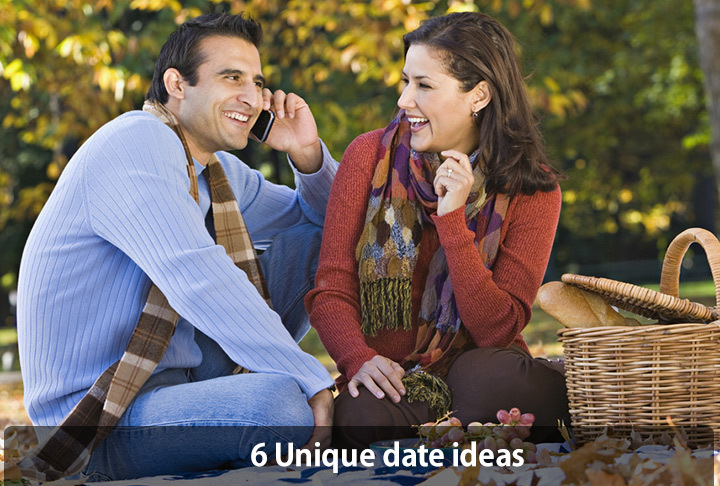 Unique date ideas If you though all dates include sitting at the.. If you though all dates include sitting at the bar and then having dinner at one of the many restaurants that you have frequented in the past, you need to think again. It is not about spending a lot of money in fancy restaurants, but finding something to do together that builds a relationship. The basic premise of dating is to know each other and have fun. Here are some fun and unique ideas to help you enjoy your next date more. Plan something different that can capture his/her interest completely. This is perfect for the summers. Pack a lunch and select a nice location by the river or at a nice park. Chat up, discuss and stroll through the area and enjoy the view. From attending a cooking class together to wine tasting at the local winery, you can both enjoy a day out doing what you love. And it qualifies as a date! Make sure that you both respect each other. You don’t want to spend your life with someone who has no respect for you, your personality, and your goals. You and your partner should respect each other. Theme parks are just for kids. They are perfect those looking to enjoy a fun day out; and perks include a chance to hold hands on the roller coaster. If both of you like movies or concerts or even theater, summers are perfect for outdoor activities. Combine the two and enjoy outdoor theater/movie or swing to the music together. That would be an ultimate experience. Take your cycles and go on a long ride together or try trekking or rock climbing. Do something adventurous to get that adrenaline flowing. And that would be an interesting memory.